Our museum shop stocks a range of books, souvenirs and bespoke gifts to suit every age and pocket. All proceeds will help us to continue to fulfil Thomas Sutton’s legacy to provide for the Brothers who call the Charterhouse their home. Please Note – For purchases to be sent overseas, please contact us directly by the details below. The links below are for postage to UK mainland addresses only. 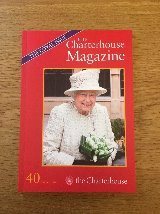 For retail enquiries please contact shop@thecharterhouse.org or phone us on 0203 818 8873. 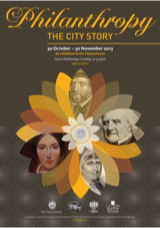 This major publication celebrates Charterhouse’s reopening as a museum in 2016. 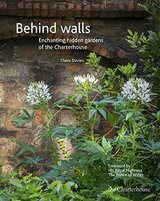 It includes a series of illustrated essays on the archaeology, history, landscape, environment and architecture of the Charterhouse. It follows its story from its foundation as a monastery, dissolution in 1535 and subsequent transformation into a fine Tudor Mansion in the grounds, its establishment as both a school for boys and hospital for elderly men, to its continuing role today as a charity providing care for over 40 Brothers. 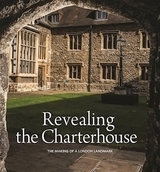 This official souvenir guidebook offers an insight into the unique history witnessed by the Charterhouse. The story begins in 1348 when the site was used as a burial ground for victims of the Black Death. Since then the site has served as a Carthusian monastery, Tudor mansion house, school an almshouse which it remains to this day. 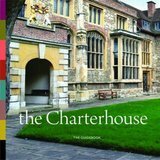 In January 2017 the Charterhouse opened to the public for the first time in its 669 year history. This guidebook enables a new generation of visitors to explore our exceptional historic buildings and fascinating new museum.